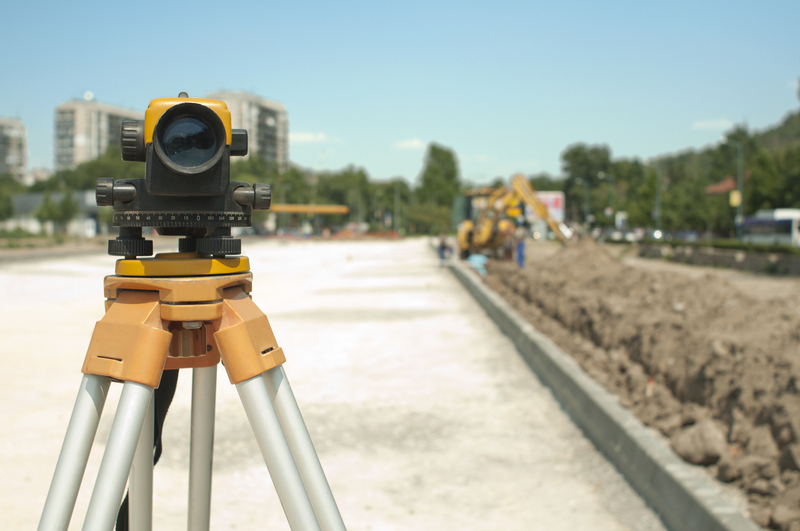 Throughout history, the surveying field has used the latest technology to create accurate readings of the land and structures on it. New technological advancements are now allowing surveyors to create three-dimensional models in shorter times with greater accuracy. Today’s advancements are no different. With the latest technology, surveyors are able to digitally map the location and calculate distances that are hundreds of meters away. The new total station can be easily operated by a single surveyor. By using a remote control at the operating station, robotic drones can be sent to map an area. In conjunction or in place of the robotics, a 3D laser scanner allows surveyors to understand the shape and angles of the surface of the land and any buildings on it. The data collected by the instruments are then used to create a three-dimensional model for architects. Global Positioning Software allows the team to use satellite technology to pinpoint data on land. Since the satellites do not require a line of site between the two points, surveying of larger land areas happens in a shorter amount of time. It also reduces the number of surveying teams needed to complete a large job. Along with the GPS technology, new GIS software captures this data. The computer processes this information to create a digital map of the area. Map designers produce larger area maps quickly and accurately. Online services such as MapQuest and Google Maps are some examples of groups using this technology. Autonomous underwater vehicles are an essential piece of technology utilized by surveyors. These systems are outfitted with cameras and sonar to read the shoreline in a given area. In the event of an oil spill, this technology can help shoreline cleanup and assessment teams determine how spills will affect the environment.